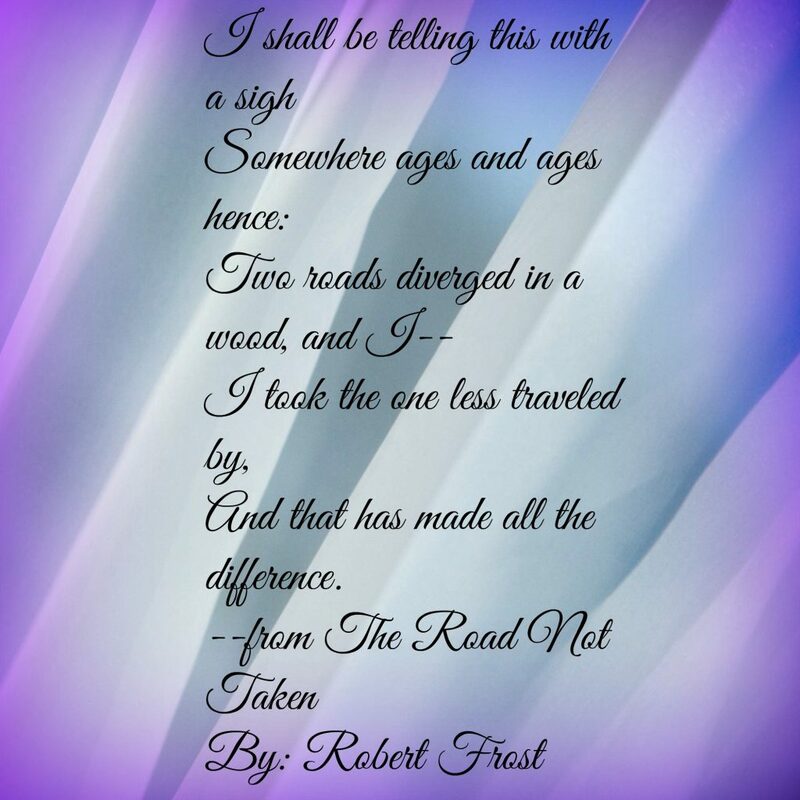 The Road Not Taken by Robert Frost has always been one of my favorite poems. I feel like I stood at that place where the road split for a long time. Looking down one, you see all the things I “should” do. The things my parents and friends and the world in general think a single mom in her 30s should be doing. Then there is the other road, the one where I have to beat my own path. The one where the one thing I should be doing is following the commands Jesus laid out in the New Testament, and heeding His call when He tells me to move! You guessed it, I took that second road. I took it rather begrudgingly at first. ( I have this picture in mind of God taking me by the hand and dragging me kicking and screaming down the road.) But now….Let me tell the beauty and sheer joy that comes when you stop living by the world’s should, and start chasing after God’s instead! 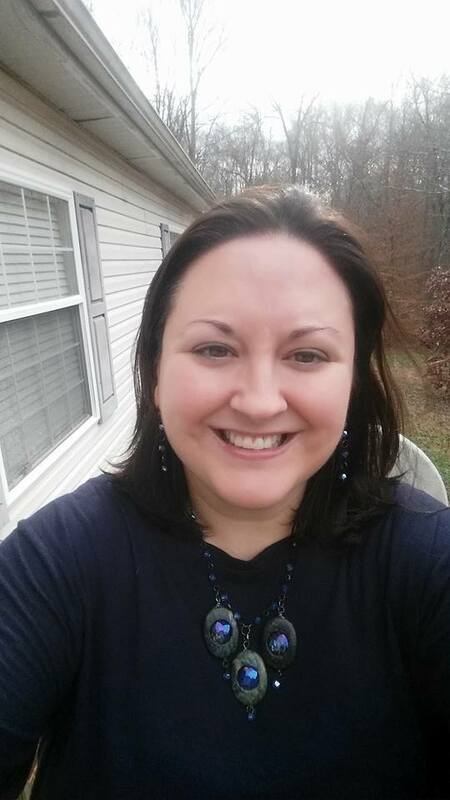 I am a writer and a Beachbody coach. I spend my days talking to people and pouring out what God pours into me. I can’t tell you how many shades of out of my comfort zone all of those things were. But I LOVE this crazy, outside of the box, out loud and in full color life I am living! I urge you to heed God’s call. No matter where it takes you. And no matter who thinks you shouldn’t. This post is part of the Five Minute Friday link-up. 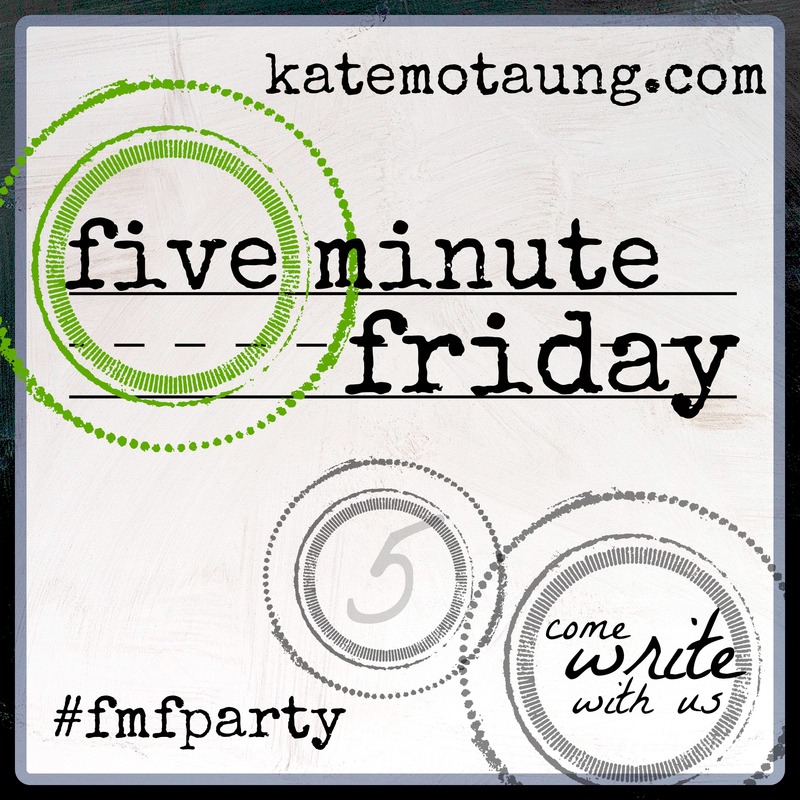 FMF is where bloggers gather together to form a writing flash mob where we all write on a one word prompt for 5 minutes with no editing! Sound like fun? 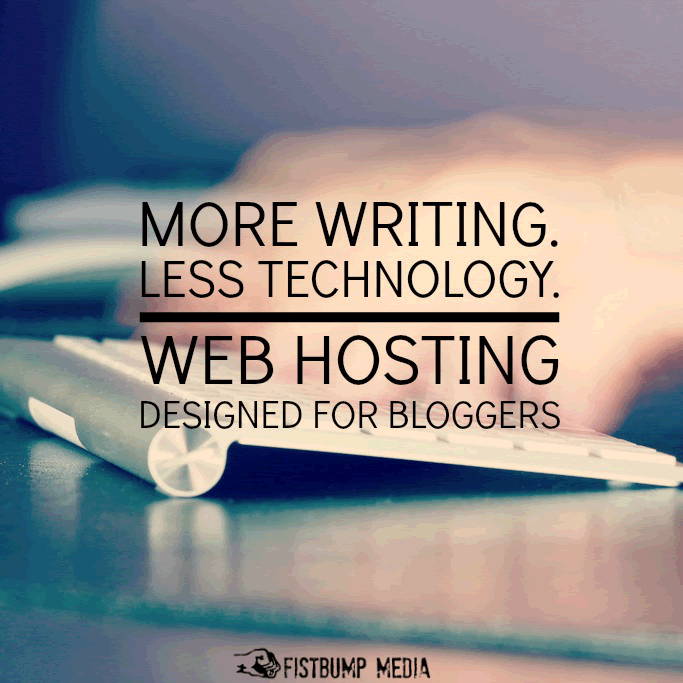 You can learn more by clicking on the button below and/or join this week’s link-up here! Enough already! Enough with the self- loathing, the body shaming, the negative thinking. Enough with being just another person telling yourself that you’re not good enough. What if we all practiced self love instead? What if we modeled self love instead of picking ourselves apart in front of the world and in private? What’s the picture you want to paint for your children? Do you want to teach them to hate themselves, or do you want to teach them to overcome the normal way or thinking and to love themselves? God created each and every one of us in His image. You are beautiful/handsome just the way you are. It is true that there was only One who was perfect, so be aware of your faults. Strive to better yourself, but be kind to yourself along the journey! In January I made a decision to get in shape. I will admit that my driving force then was the feeling that I got when I looked in the mirror. I cringed every time in disgust at how I had let myself go. And so I joined Beachbody and soon after became a coach myself. I am blessed that the team God placed me in promotes self love. So, find a tribe who will love you where you are, and who will show you how to love yourself better. NOW HERE’S THE REALLY IMPORTANT PART! ARE YOU LISTENING? You are beautiful. You are good enough, right now, just as you are. You don’t have to go down the checklist of things you want to change about yourself before you will someday be enough. You are already enough! So often we look to the world to define us, to tell us if we’re good enough and if we’re doing things “right”. Now take a minute to think about how awesomely wrong that is. If you step back and take a long hard look at the world we live in, it is a bleeding gorey mess. The world is broken, why would you ever let it define who you “should” be? So tonight I come to you with a challenge and an invitation! First the challenge: I challenge you to take the time to redefine the standards that you live your life by. Redefine the influences that you let become that inner voice telling you how you’re doing. I challenge you to let the still small voice of God that whispers in your ear to become that defining force in your life. I know that it’s asking a lot to let go of the world’s view of you and cling to the invisible God’s view of you instead. I believe that when you stop letting the world define you, and start letting God redefine you, you become a force to be reckoned with. I would like to invite you to join me in my new series Life Redefined as I travel the road of redefining my own life by God’s standards. Change is simply a fact of life. There is nothing that can be done about it. While some changes are expected, the ones you plan for or those you work towards, others come unbidden and strike when we least expect them. It’s those unexpected changes that I find the hardest to deal with most often. I know you’ve probably heard the phrase, ’embrace the change’, but let’s face it, sometimes you just have to work through your feelings before you can even begin to adapt much less embrace a life change. Let me tell you about that sweet spot where all the feelings and fears and the expectations that went unmet fade away. That beautiful place where you don’t necessarily embrace the change you went through, but you embrace the new place life has brought you to. I went through a giant life change around 10 months ago. On that day everything that I expected for my future was suddenly different. It took me a long time to come to terms with that. But now, I am able to embrace the new opportunities life has thrown my way. I am enjoying building deeper friendships and spending better time with my kids. I am embracing this new stage of life and whatever it has to throw at me. God works all things for the good of those who love Him (Romans 8:28). I promise you, that scripture applies to unexpected changes as well. What does that word mean to you? The meaning has changed for me recently. If you had asked me a year ago what it meant to be safe I would have undoubtedly thought of the person who’s arms I felt safe in. He was my safe place. But that is one of those fairytale kind of fallacies we tell ourselves or that we are taught when we are growing up. Even if I found my perfect guy tomorrow, there would not be true safety and security in that relationship. Now when most people think of safety they think of physical safety. That’s not what I’m referring to here. When I think of safety I think of having the safety to fall down and knowing that it’s ok. Being secure in the fact that I am loved, even when I fail. Having the safety to be truly and authentically me and know that I am loved completely and unconditionally. Knowing that there is one place I can go, one relationship I can cling to, and find all the security I need therein. As a friend said today during our weekly Bible study time, “People are broken.” That applies to all people. Even the people who love you the most can make you feel insecure in your own skin. People will fail you. That is about as clear a fact as they come. But God never will. He is everything you need. I urge you to fall into Him for your safety and security. Fall into Him to see yourself clearly. Fall into Him to feel the pull of unconditional love. I never thought I had control issues until I had kids. And still it wasn’t until fairly recently that I recognized that need for control within myself. Let me tell you a little bit about my control issues. I have two little boys that are all boy. Which means they are loud and rambunctious and never ever stop and fight constantly, because that’s what brothers do. I however am an introvert by nature and I like quiet. There is a constant struggle where I am trying to get them to sit down and be quiet for a minute, which never works. You know what I have found that works? Letting go of that control. When I let go and just let them be and try to embrace the loud craziness of having boys, that’s when the peace seeps in. God will sit back and watch us as we try to control every aspect of our lives. He will stand by and whisper in our ears and wait. It’s not until we let go of that control. Until we let go of the very tight grip we have on everything in our life in an effort to get everything just how we want it. Until we surrender. It’s not until then that God comes in and moves in our situations and brings peace along with Him. It’s in that moment, in that sigh of relief that we often realize that we were the only thing standing in the way of our own peace. Sometimes I feel like I’m standing in the middle between the future and the past, with both pulling at me. It’s an ever changing story which one is pulling harder. My thoughts drift to events and people from the past daily, because that’s just where my heart is. It can be a hard road, when you’re walking forward while still looking back. Someone I used to know well used to say, “You have to just glance in the rear view, because if you stare at it too long, you can’t see what’s in front of you and you’re likely to wreck.” (At least that’s the basic gist of what he used to say.) My take on it is this: God has great big things for me that I am likely to miss if I keep my gaze fixed on what’s behind me, on what is no longer present in my life. So here is to telling the past where it belongs and reminding it that I’m not going that way. Here’s to the great big plans God has in store for me and being tuned into the present so that I notice them when they are in front of me. Here’s to walking away from the middle and taking that leap of faith that walking into the unknown requires. I’m on day three of being snowed in, with no discernable end in sight. Seven months ago I went through an awful breakup. I’m a stay at home mom. All of these things create this feeling that I don’t really have any connection to people outside my house. There has been a new nagging feeling that has just popped up in the last week or so that I can’t trust people. Specifically people who know my ex. Although I don’t know why he would care about anything I say or do at this point, still I have this nagging feeling that people go back and tell him everything I say to them. But a louder voice comes in and reminds me that the enemy comes to steal, kill, and destroy (John 10:10). The devil wants to destroy our connections to other believers. He wants to isolate us so that his voice is the loudest one, and the only one we can hear. My God created me to be in community. To connect with His children. To connect with His lost children. I believe in God ordained meetings and that soul connections are often forged in the quiet places of life where they are least expected and when you aren’t looking for them. The next time the devil is telling you that you are all alone, you just tell him who you belong to and that you are never alone. Take me to the deepest darkest parts of your life and I’ll bet there are moments of unspeakable joy to be found there. Show me yours and I’ll show you mine. But then I already did show you mine. Everything I’ve written these last six months has been dripping with my pain. I laid it all out there for you to see. The good the bad and the ugly. In that, in the writing of my story, there was joy. The joy of finding the inner strength to be vulnerable and transparent. The joy of hearing you all say thank you and me too. The joy found in the act of being obedient to the work God called me too. He called me to write the hard things of life. The joy of finishing something that was so very hard to do. My 31 Days series is the piece of writing I am most proud of. I even wrote about finding joy in the midst of my brokenness. There is joy to be found if you will just open yourself up to it. So, go ahead, show me the joy! I want to say a heartfelt thank you to each of you that walked alongside me during these last six months. It has been my honor to share my story with you as I walked through a painful season of life. I would like to report that two people this week have asked me how my wedding plans are going. The fact that I have not fallen to pieces over that simple question gives me hope that maybe I have reached the other side of the pain. The enemy has been fighting hard this week to keep me bound by pain, but joy has prevailed. I love you, each and every one of you! I crave the beautiful parts of life. Sunlight and laughter, friendship, flowers, and love. Deep soul friendships where you can laugh together and cry together with equal devotion. Love that withstands the test of time and weathers any storm. The things that make the painful parts of life pale in comparison. I’ve been walking in those painful parts of life for the last six months. The part where the love I thought was forever failed me fantastically. Where pain and tears were an everyday occurrence. Where I tried desperately to see the sunshine through the rain. So yes, I crave the beautiful parts of life where life isn’t so hard. Where trust isn’t broken and dreams live to go on for another day. In the spirit of that I am not going to dwell on what this weekend isn’t, the anniversary of the weekend I got engaged last year. I’m going to celebrate what it is, the weekend my family grew by one more last year. We got this little fur ball a year ago tomorrow! He’s a little bit bigger now! 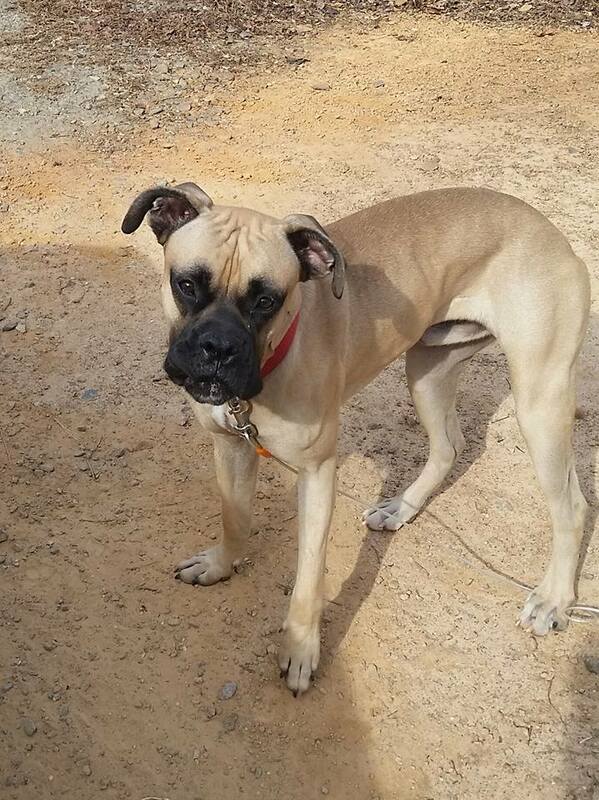 This picture doesn’t really show how big he is. He can put his head on my kitchen table without trying! 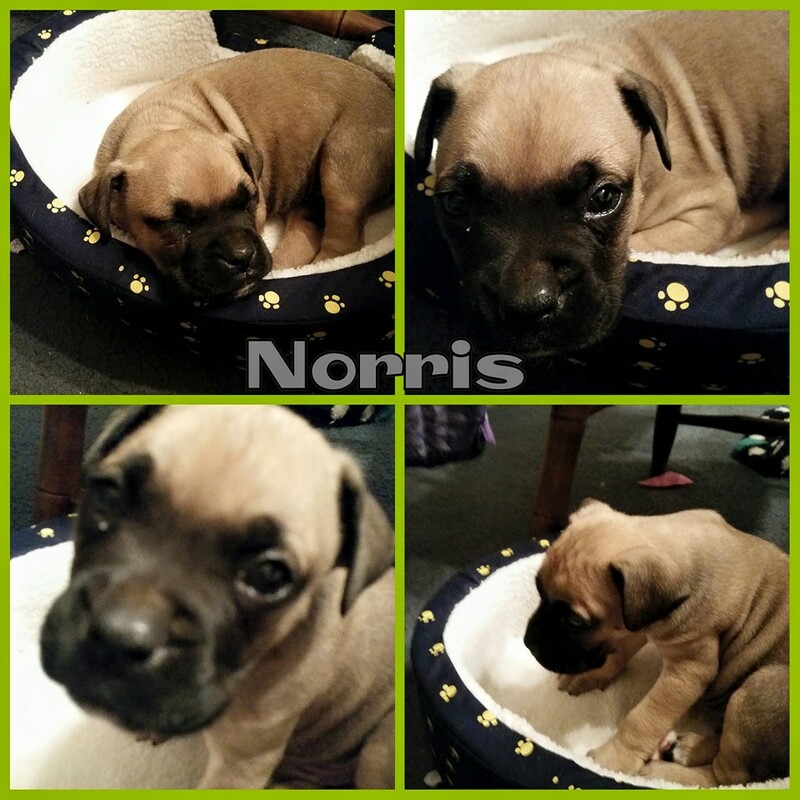 So, this weekend I’m going to celebrate the anniversary of Norris joining our family and celebrate my youngest son’s birthday and try to forget the rest. Wishing you all a beautiful weekend full of light and love and laughter!